October 1st is the independence day of Nigeria, and it's been 51 years since the country got independence from Britain. While we have nothing much to celebrate, today, I'm joining hundreds of other bloggers and social media users on a positive campaign for Nigeria, facilitated by ‘The 419Positive Project’..
For too long, Nigeria and Nigerians have been readily associated with the online scams, financial crime and impersonation - termed ‘419’. However, beyond the unfortunate stereotyping, there are several positive characteristics and cogent intriguing traits of the country Nigeria, and its people. Some of these are highlighted below as part of the ‘419 Reasons to Like Nigeria’ campaign which enlisted 100 volunteers and bloggers to share reasons why they like Nigeria. These reasons echo the voices of Nigerians, with resonating similar themes. If you would like to say something positive about Nigerians and Nigeria, please do so here. v I like Nigeria because it is a land of endless opportunities and possibilities. Nigeria is one country whose true potentials I believe the world is yet to experience. I believe Nigerians are sharp, brilliant and accommodating people. Giving the right enabling environment the world will marvel at what Nigeria will become. v Nigeria is the most populous black nation - and a buying one at that. From a capitalist point of view, this makes for great investment opportunities. v The fact that Nigeria currently lags behind so much - in infrastructure and developmental terms - hints at the size of the potential for innovation and transformation, and at the huge number of vacancies that exist for 'transformers'. What I think this means is that the world will be hearing a lot about Nigeria and high-achieving Nigerians (in the public and private sectors) in the near future. v The Nigerian Green and White flag is a notable national symbol. The green color symbolises agriculture, seeing that the country is endowed with masses of arable land, while the white colour signifies unity and peace. 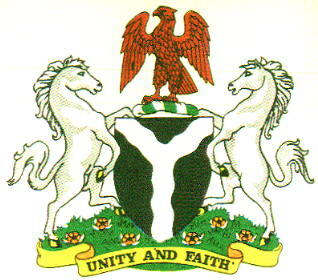 Other national symbols include the Nigerian Coat of Arms, which depicts an eagle on a black shield, tri-sected by two wavy silver bands, and supported on either side by two chargers. The national motto underlies the coat-of -arms: "Unity and Faith, Peace and Progress." Her national symbols convey great meaning to its people. v The Nigerian accent is currently ranked by CNN Global Experiences as the 5th sexiest accent in the world. 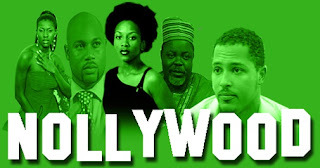 v Nigeria is home to Nollywood, one of the world's biggest film industries. v Something great to like about Nigeria is our cultural diversity. A strong affinity exists, despite our differences. Learning about other ethnic cultures in my country really helped me personally relate to other cultures when abroad. v I think the food is tastier in Nigeria than that I have found in other countries. v Nigerians live a communal life style. The extended family is part of the immediate family in a Nigerian home. v Nigeria has produced many world class musicians. A notable mention in this regard is Fela Anikulapo Kuti. A Broadway show titled ‘FELA!’ was produced in 2009 depicting the life and times of the Afrobeat musician. v Nigeria’s movie industry, Nollywood, is reputedly the 3rd largest film industry after Hollywood and Bollywood, and has grown gradually into a $250 million industry in more than 10 years. v Nigeria Nigeria is a nation blessed with rich human and natural resources. As the 8th largest exporter of Oil in the world, with the 10th largest proven reserves, our blessings cannot be overemphasised. No earthquakes, no tsunamis, no droughts, an evergreen land. The rest of the world should live here. v The beauty of the Nigerian state cannot but leave one in awe. Blessed with captivating physical features and abundant wild life. From the rolling hills to the vast plains in the North Central Nigeria and the forests in the South, the beautiful scenery of the country is more than breathtaking and with the wildlife spread all over the country; Nigeria is surely a beauty to behold and a tourist's delight all year round. v Nigeria has the largest population of any country in Africa. Approximately 1 out of every 2 West Africans, 1 out of every 4 Africans, and 1 out of every 5 persons of African origin is a Nigerian. v Nigeria is the largest contributor of troops to the ECOWAS Monitoring Group (ECOMOG) and by extension, is the largest force for peace and stability in West Africa. v A Nigerian will stand out anywhere you find him/her, from Libya to London, Tokyo to Timbuktu. Well known examples include Hakeem Olajuwon (Houston Rockets, USA), Olumide Oyedeji (Seattle Sonics), Tunde Baiyewu (Lighthouse Family), Sunday Adelaja (Ukraine), Chris Aire (US), etc. 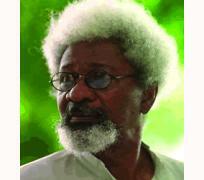 v Nigerians are intelligent, brilliant minds who have proven their mettle in various fields - Wole Soyinka was the first African to win the much coveted Nobel Prize for literature in 1986. Chinua Achebe’s classic novel ‘Things Fall Apart’ was ranked as number 14 in a list of top 100 books in the world by Newsdesk in 2009. Others include Cyprian Ekwensi, Mabel Segun, Chimamanda Adichie and Helon Habila whose literary works have won both international and local awards at various times. v We have budding fashion designers. Yes! It's a line every Bunmi, Amaka and Amina has decided to tow but to disregard the effort and originality of our Fashion Designers would be disrespectful. Tiffany Amber, Lanre Da Silva and Deola Sagoe are building world renowned brands, not to mention the legacy developed by the likes of Abba Folawiyo, Maureen Onigbanjo, Remi Lagos and Zizzi Cardow. v Nigerians have excelled in the fields of economics and finance, managing well established global bodies. 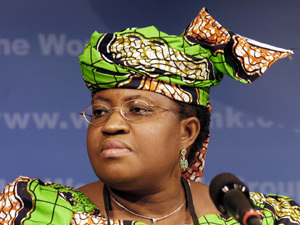 Ngozi Okonjo Iweala, the current Minister of Finance, was until recently a Managing Director at The World Bank. Obiageli Ezekwisili is currently the Vice President for Africa at The World Bank. Mr Adebayo Ogunlesi is a first class graduate of Oxford, and Managing Partner of Global infrastructure Partner (GIP), a concessionaire of London’s Gatwick International Airport. v We take technology and expand it in ways those who created it could not have imagined. For instance, take the BlackBerry Messenger (BBM) which allows you to send broadcast messages to all addresses on your contacts list; Nigerians recently found a unique way of advertising the different businesses they do. Someone started a message highlighting the fact that many people in Nigeria are entrepreneurs or provide a service and included his BB PIN in the message and sent to all his contacts with the charge that they state the service they provide, include their PIN and send on to all their contacts too. This seemingly small campaign has gone “viral” with whole lists of entrepreneurs and their BB PINs being passed from phone to phone. This is a clear sign of the ingenuity of Nigerians! v Nigeria is the 7th most populous nation in the world (over 160 million) and most populous in Africa - a gold mine of energetic, determined and talented people in each and every field. From Lagos to Aba to Kano, the Nigerian business spirit and desire to succeed is visible. It requires just proper harnessing of these human resources before Nigeria becomes the super power she was meant to be. v Nigerians are passionate, friendly, welcoming, hospitable, and well cultured people. The average Nigerian reflects a combination of vivacity, intelligence, energy, talent, and resolution. v We are a nation of people that can hardly hide their excitement at seeing family and friends. Some misconstrue this thinking we are loud but let's just say we are EXPRESSIVE! If you see us on the streets of New York making a big ruckus and hugging? No sweat. We are just happy to see each other. v The Giant of Africa: Not ignoring the current challenges, eventually, when we get our act right, we will reign supreme on the global scene. We have the potential and as is much touted by the Warri people - "Naija no dey carry last"
v The 'survivor-mentality' hard-wired into the DNA of Nigeria's people. The fact that against all the odds (and there are many of them), Nigerians continue to live, hustle and seek to triumph. It is not by mistake that Nigeria is regarded as one of the "happiest" countries in the world, despite its challenging economic and social conditions. v We are hardy. The average Nigerian does business under circumstances that are unimaginable to people from other parts. In a place where there is no power, no credit, and scant regulation, people do business and do very well for themselves too. If you can make it in Nigeria, you can make it anywhere in the world. v Nigeria is an amazing tourist haven and is home to the Obudu Cattle Ranch, located in Calabar. It is only 45 miles from the Cameroon border. The Obudu Plateau is spread over 40 sq. miles and is 5,200 feet above sea level. The Obudu resort features a Gorilla Camp where tourists may observe gorillas in their natural habitat. v Nigeria has two UNESCO world heritage sites, the Osun Osogbo Sacred Grove and the Sukur Cultural Landscape in Adamawa. UNESCO world heritage sites are places designated as being of cultural significance. v Nigeria has produced great footballers like Teslim “Thunder” Balogun (the first Nigerian to play for an English Club – QPR), Segun Odegbami, Muda Lawal, Stephen Keshi, Rashidi Yekini (who scored Nigeria’s first ever goal at the World Cup), Nwankwo Kanu, Austin 'Jay Jay' Okocha, John Mikel Obi, Osaze Odemwingie, to mention but a few. v Nigeria has excelled in athletics over the years, still holding continental records in the 100m men and women, 4x100m men and women, 400m men and women, among others. Over 100 skilled Nigerian professional footballers played in First Division leagues in different countries all over Europe in the 2010/2011 season, 9 in England; 8 each in Finland, Norway; 10 in Ukraine and 7 in Sweden. v Nigerians, despite our diversity are a united people who always strive to help one another. With 774 local government areas, multi religious and ethnic affiliations, 36 States, and population of over 160 million, we still stand undeterred to move forward together. v Even outside the country, Nigerians remain united. This gives a quiet assurance somewhat that you can get on a plane and go to any country of the world and find a Nigerian there who will not only make you feel welcome but will go out of their way to be of really good help. I have experienced this several times on my travels and each time it amazes me how all I need to be is a Nigerian, not Igbo, Yoruba or Hausa and once I run into another Nigerian, I will immediately feel at home. v Our greatest strength lies in our diversity. The ‘419 Reasons to Like Nigeria’ Campaign is in partnership with ‘The 419Positive Project’.